[ #RizomUV #Texturing ] Rizom-Lab upgrades its professional UV mapping tool, giving it a new name and seven new features. 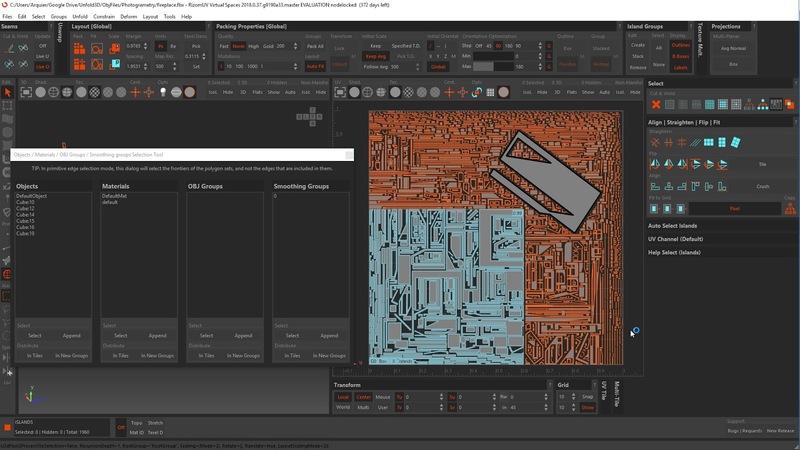 Now known as RizomUV, this professional toolset can provide distortion-free UV maps quickly, sometimes in a single click thanks to a new UV tool and an artist-friendly UI. Since inception, RizomUV has amassed an enviable list of users, including artists at Ubisoft, Capcom, GameLoft, 2K, Virtuous Games, Unit Image and Valve Software. Since the release of V10, Rizom-Lab has continued to find new ways to address one of the most labor-intensive aspects of the 3D process. 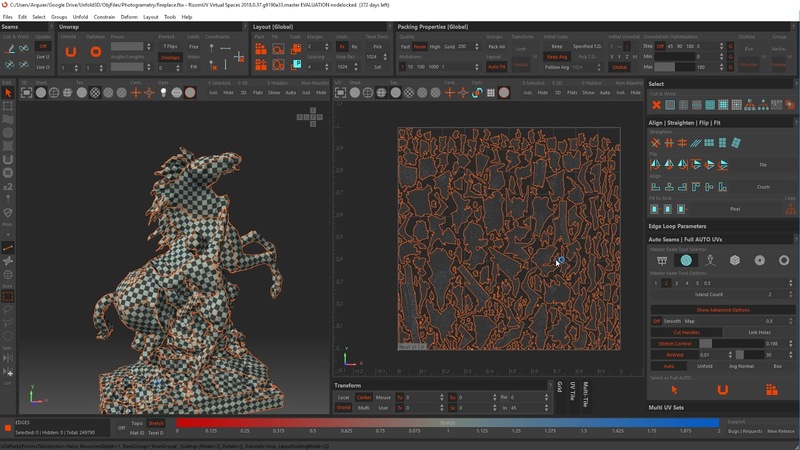 -Full Auto UV: Compute UV maps in a single click or use the “advanced” controls to adapt the common characteristics of large assets for future processing. -New UI: More intuitive GUI mirrors top 3D applications with faster access to most commonly used features for UV mapping. -Texel Density Tools: Easily edit and visualize texel density of polygons and shells in real-time, ensuring density-consistent UV maps across models. -Polygon Magic Wand: Select groups of polygons using geometry properties, as you would in Photoshop with pixel areas. Once selected, users can then extract new shells and unwrap them on the fly. -Autoseams Box: Create perfect seams to hard-surface models in a single click. -Mouse and Keyboard Customizer: Customize hotkey layouts according to workflow. -Fit to grid: Automatically rescale and snap any selection to fit a grid or texels; promotes better texel usage, especially with low-res maps. -Extensive Pipeline Support: API support allows the RizomUV C++ Library to be adapted to most professional pipelines and software (available separately). Rizom-Lab will continue to address user requests throughout the year. Current plans include: Better packing tools for stacked shells; an outliner to improve object selection, visibility and the global workflow; and new algorithms to increase the quality of fully automatic UV map generation. RizomUV is available now for Windows and OS X users in two varieties - RizomUV Virtual Spaces (VS) and RizomUV Real Space (RS). RizomUV VS and RS can be purchased as perpetual licenses or on a monthly, rent-to-own basis. To see all pricing options, including pro and indie licenses, please visit here for RizomUV VS and here for RizomUV RS. Download Free trial here!